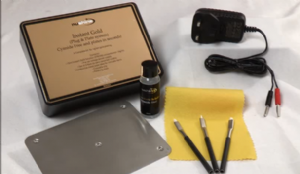 This one of a kind compact Gold Plating Kit has been specifically designed to plate Nickel and Silver articles quickly and efficiently with 24K GOLD. 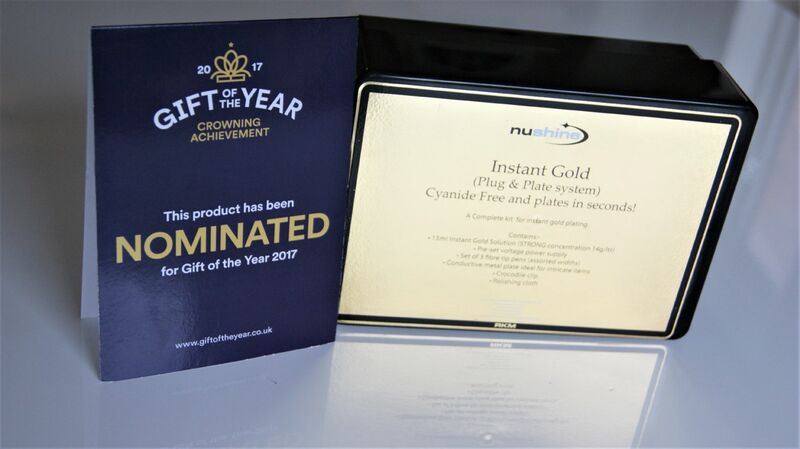 Unlike other kits currently on the market it is CYANIDE FREE and contains an impressive 14g of Gold per Litre for instant results. 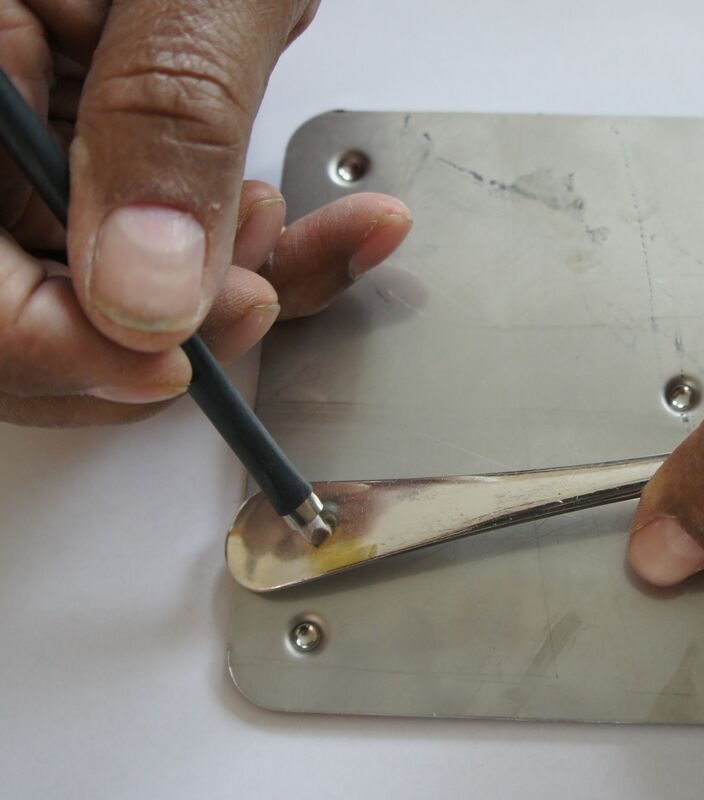 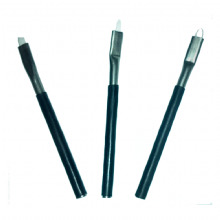 The simple design allows quick and effective plating. 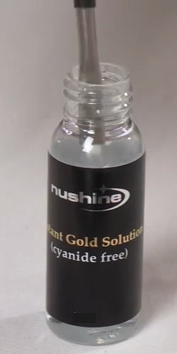 - NO Cyanide, no laboratory style equipment or need for a lab coat! 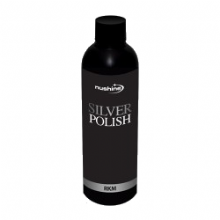 Recommendation: Before plating your item use our Nushine Silver Polish or Spray to effortlessly remove tarnish and clean silver. After Plating use the Nushine Gold Polish to really bring out the gold sparkle! 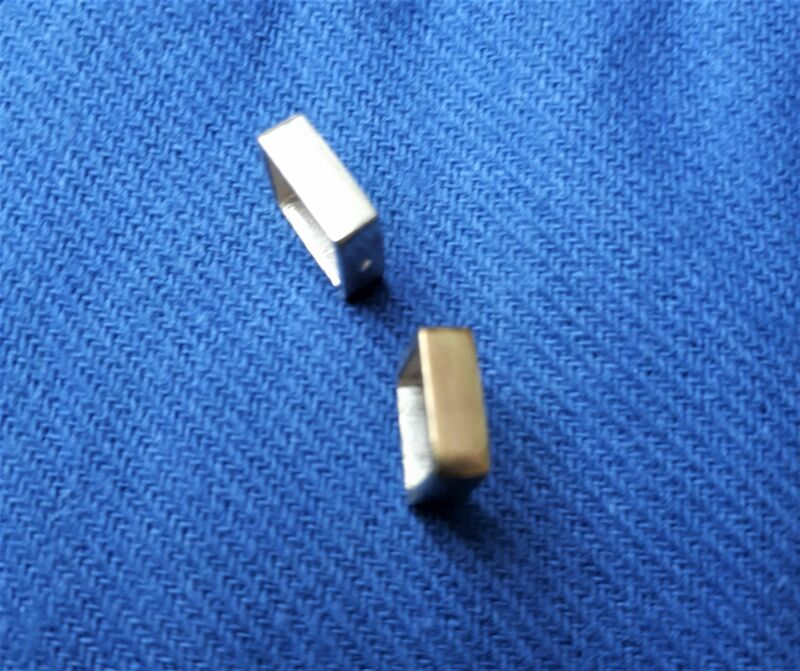 Removes heavy tarnish effortlessly, rub on wipe off!